Joomla has always been a CMS that prioritizes quality over popularity, and that approach has clear benefits and drawbacks. 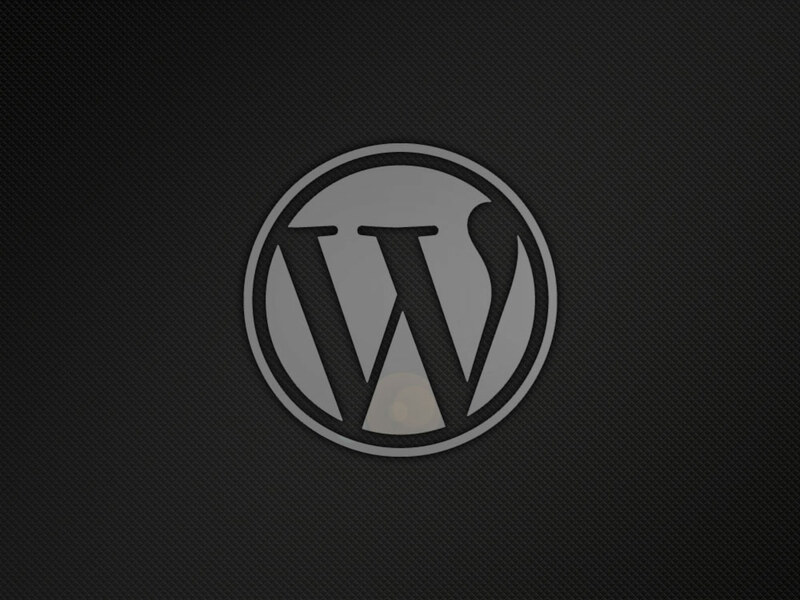 While the code core is sound and the future of Joomla as a whole looks bright, a prevalence of readily available plug-ins & themes would work wonders in speeding this process along. The growth of the modernized JED covers half of that need, but hunting for the top free Joomla templates online has always taken a little work... and this is what we're addressing in this post. We've scoured the best developers online and compiled an incredible collection of responsive Joomla templates and free Joomla frameworks. All of these selections are built with quality code, feature fully responsive layouts, are constructed for J3+, and can be easily tailored to meet a high level of project demand. If you're looking for the best Joomla templates available online, look no further - cause you're in the right place. This Joomla offering from Shape5 is a great pick tied very closely to the Bootstrap look and feel. Besides all the normal Bootstrap perks, Design Control features parallax backgrounds, Google Fonts, variable highlight colors, custom column widths, tooltips, fixed modules, a solid basic menu, built-in file compression, and over 90 collapsible template positions. The in-house Vertex framework speeds up project build times and comes with bells & whistles you'd be hard pressed to find on many paid Joomla themes. Constructed by JoomlaXTC, 63 Agency features a modern minimal design with a breadth that can span several fields. 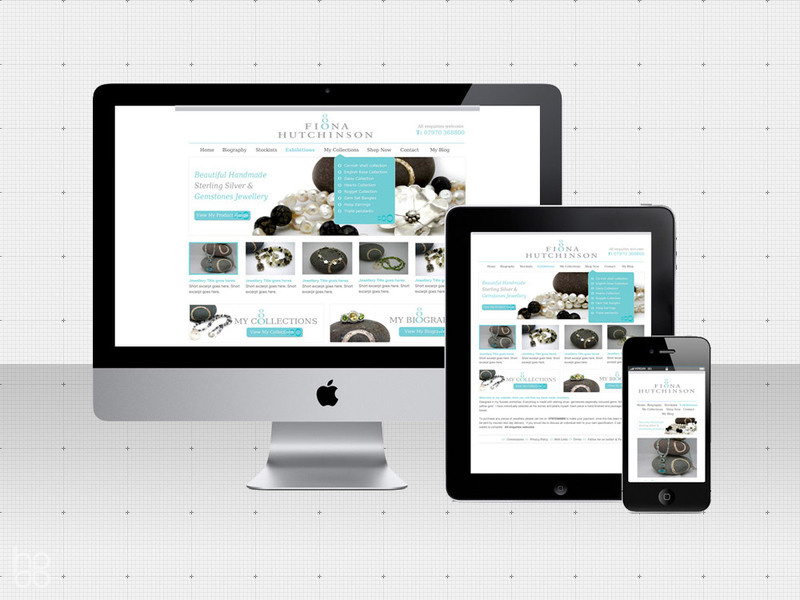 While targeted towards agency websites, it would also be well suited for any portfolio or product based sites. Constructed with Bootstrap and an in-house framework, 63 Agency sports CSS3 effects, plenty of typographic options, many module styles & positions, and a highly flexible layout. 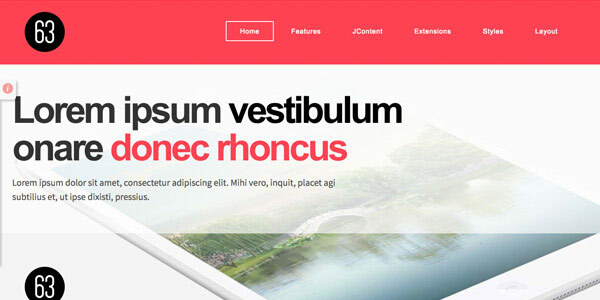 JoomlaXTC has built a proud name in the theme building world & this free Joomla theme bakes that knowledge into a highly flexible, multi-purpose theme. 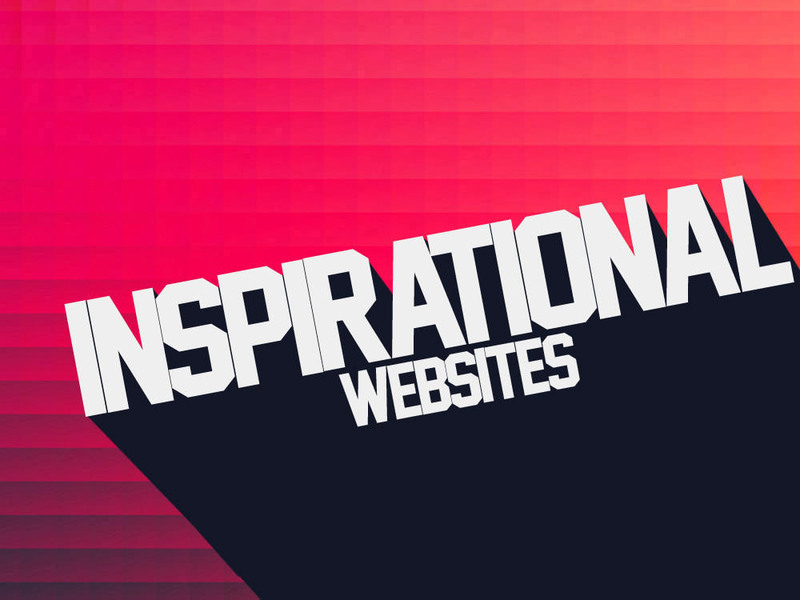 This boldly colored and well coded theme has all the integrations a designer needs, without any unnecessary additions. Constructed with an in-house YJSG framework and Bootstrap, Baseline features an intuitive menu system, Google Fonts, icons, tabs, accordions, notifications, and most importantly - SEO friendly coding. If you want a solid theme with a clean base to build from and a focus on typographical elements, Baseline makes a strong case. This ultra-clean product of Favthemes rocks all the integrations a developer could need and goes light on the design side. A Bootstrap base, 6 column layout, Google Fonts, Font Awesome icons, light & dark variations, solid documentation, and a gentle learning curve for newbies. 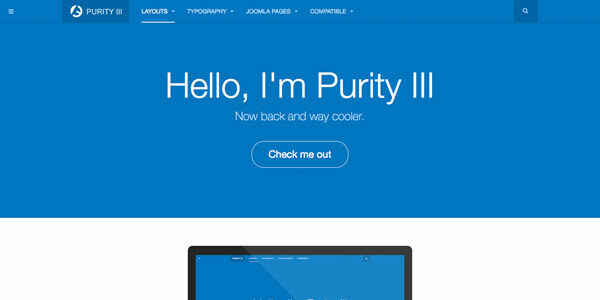 If you have less then 5 years in the web design field, this theme will be a "heaven sent". You will need to bring your own design elements, but the core is solid and provides quite a bit of time savings on any custom project. While some of these templates may not have made the cut of our absolute top free Joomla templates, in many cases it's not for lack of quality. 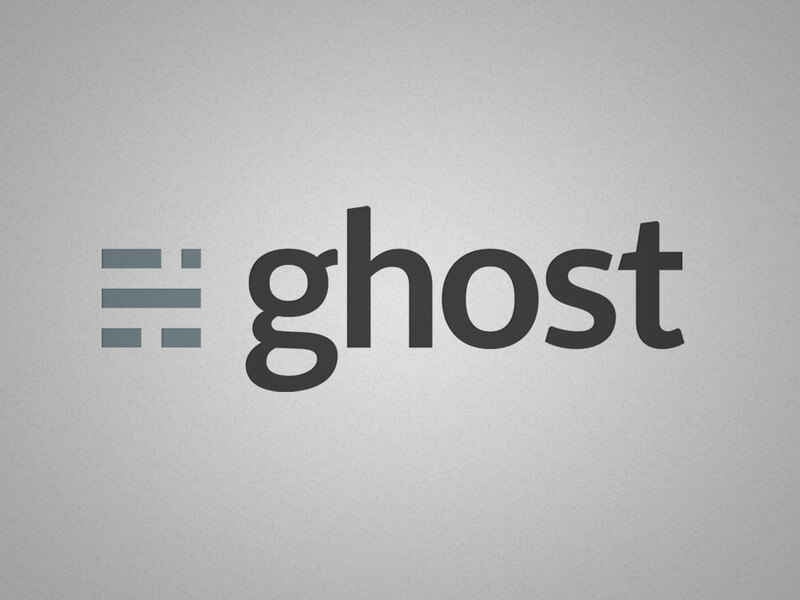 Many themes just leaned more towards a targeted audience then for general use. All of these Joomla templates are professionally coded, completely responsive and customizable for unique project requirements. While any themes is obviously customizable, below we've listed some of the best free responsive Joomla templates available and the target market they're generally directed towards. Theme customization works for many projects, but sometimes you need to dig deeper - and that's when utilizing free Joomla frameworks become your best option. These are tools explicitly created to make custom themes and in many cases, they're the tools companies use internally themselves. 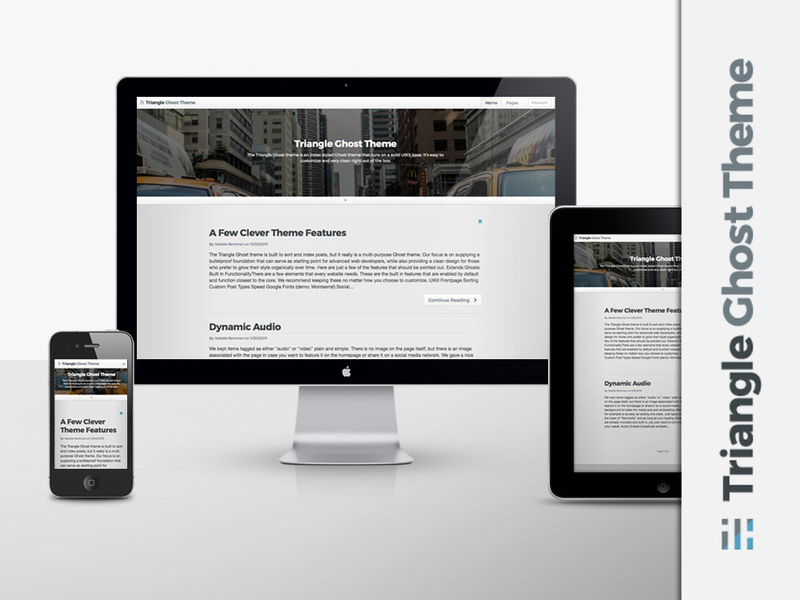 If you're already a competent web designer, utilizing a clutch framework really is the way to go. 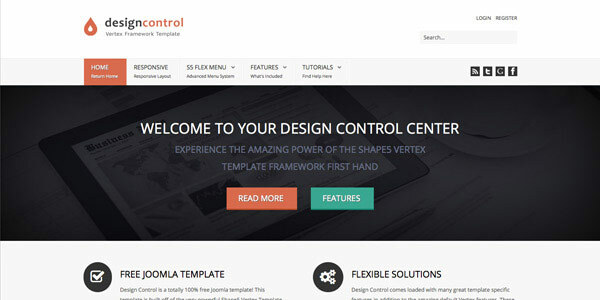 Generally a designer starts by tailoring the best Joomla templates, then progresses to deploying a massively customized framework, and ends with building everything completely from scratch. These free Joomla frameworks are ultimately blank canvases, but they're also huge time savers... and these are our favorite. 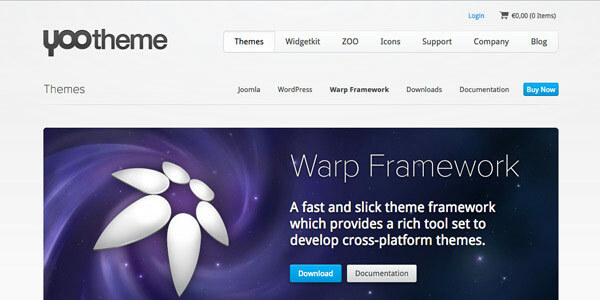 Helix is the core offering from Joomshaper that provides advanced features with a focus on "ease of use". The Drag & Drop administration simplifies development and the Post Formats addition results in plenty of flexibility w/o the need of 3rd party extensions (K2, Zoo, etc). The Bootstrap base is customizable with LESS, color options, Google Fonts & Font Awesome icons baked in. Comments are uniquely included via Disqus and IntenseDebate and you've even got sticky headers included out of the box. Helix is one of the fastest growing free Joomla frameworks and it makes a great starting point for almost any project. 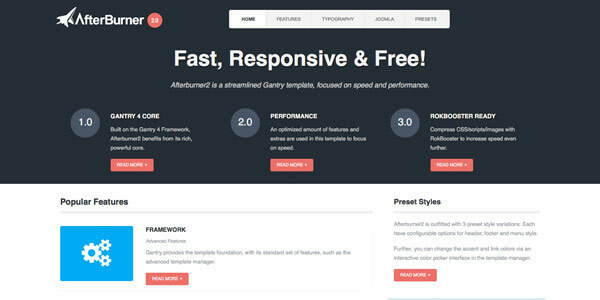 The Gantry Framework has made RocketTheme an industry leader for years and has been the backbone of some of the best Joomla templates you'll ever run across. Besides the basic bells and whistles of our top free Joomla templates, Gantry also offers an AJAX layout manager, advanced fields, LESS & SCSS, cascading theme inheritance, off canvas panels, beautiful menus, and a community committed to the framework's continued success. You will need to learn the native verbiage, but once you do - the speed at which you can construct dynamic themes is truly second to none. If you've got experience developing Joomla sites and just need a solid Bootstrap structure, the Wright Framework is a deserving option. This minimal open source offering is brought to you by Joomla Shack and really embodies the namesake's approach. The Wright Framework provides the foundation you need and nothing more. You may take a little more time setting up, but avoiding unnecessary features provides you with a more manageable result. 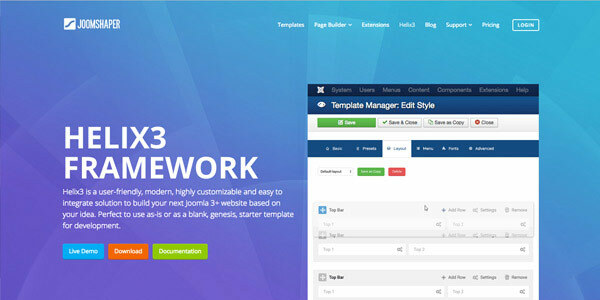 In many cases Less is More and if you know what you're doing, this free Joomla framework deserves your consideration. Find the Best Joomla Templates for Your Project, Then Get To Work. Hopefully this collection of the web's best free responsive Joomla templates and Joomla frameworks has really helped many of you get the ball rolling. 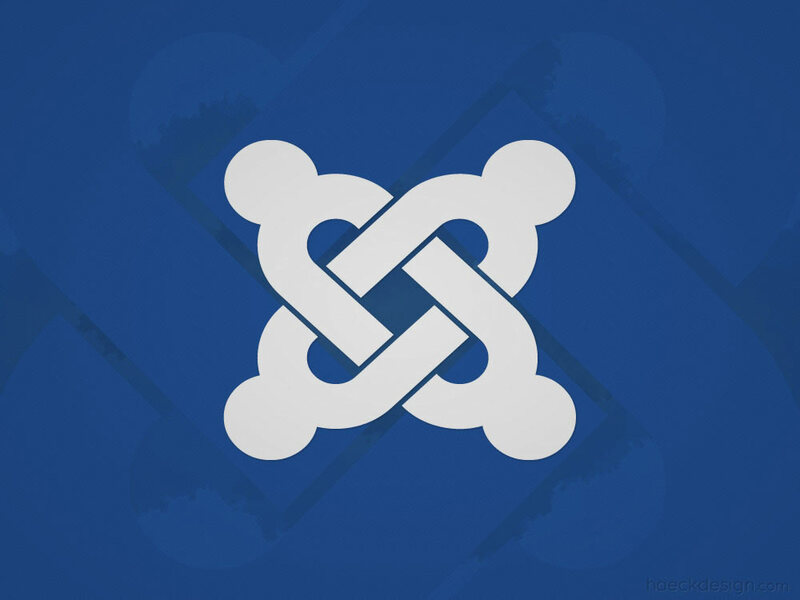 If you're looking to flush out the functionality of one of these sites, we'd encourage you to check out the recently revamped (and previously mentioned) Joomla! Extensions Directory. If you know of any other contenders for our top free Joomla templates list, please touch base on your favorite social network. If you've found this post helpful, please like, share & follow us to get the latest updates.